The beauty about antique or vintage jewellery is that they have timeless style that will never go old. This type of jewellery compliments any kind of attire and gives it a nice and beautiful look. While you do have the replicas of such jewellery for daily way; but nothing can beat the authentic and real look. It takes a skillful hand to design such kind of jewellery. 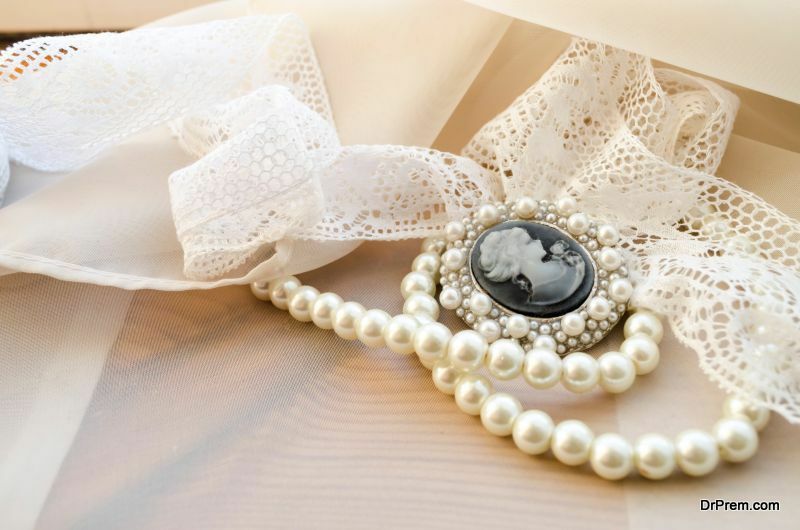 When you are shopping for vintage jewellery resume important factors that you have to keep in mind to ensure that you buy authentic vintage jewellery let’s take a look at some useful ways of how you can get the best jewellery for your wedding. When it comes to investing in vintage jewellery, the name of the company plays a vital role. Established companies that have been in the market for years never compromise on anything that can ruin their reputation. Although the jewellery may be expensive, considering the name that is behind it, but it is worth the investment since you know it is from a good source. Any vintage collection will always come with a Certificate of Authenticity. Make sure to check the certificate well. Before you go for jewellery shopping, it is advisable to do a little research on how to differentiate between a genuine and fake hologram. The mark of work is a way of an artist to sign his or her name. In authentic jewellery, this plays a lot of importance. Sometimes it can be in the form of initials, symbols or even emblems. This is one of the best ways to know what kind of jewellery you have in your hand. Now that you know some of the basic tips on what to look out for when you are shopping for jewellery, the next thing you should know is the era or period that each design resembles. The inspiration behind each vintage jewellery is not just the design; it is also about the type of stones and metal used. Each era had their own specialties. This is one of the main reasons why; vintage jewellery has its own charm that never dies out. Understanding each era is equally important when you are selecting vintage jewellery. Diamonds and pearls were the most commonly used stones during this era. This jewellery theme or design resembles the Victorian era and it is inspired more by nature, hearts and flowers. The beauty of this kind of jewellery lies in the artistic work of how the design is place. In this era, the innovations and artistry focused more on de-emphasized, flowing, feminine and soft looking designs. The materials included were glass, shells, copper, horns etc. For the stones, it was more citrines, moonstones, peridots, amber, and opals that added to the beauty. The inspiration behind the name of this range of vintage jewellery is none other than King Edward. Delicate, sophisticated and mostly white in color, the artistic work in such jewellery is lifted by diamonds, platinum and pearls. This gave the all white look to the accessories made during this era. Diamonds, rubies, emeralds, Egyptian motifs, geometrics are all part of the Art Deco era. If you look at old Hollywood movies, you will find that the actors wore this form of jewellery. Art Deco jewellery has wide ornate lines and clean cuts as a part of the design. Bold designs, yellow gold, imitation gemstones are all part of the Retro era. 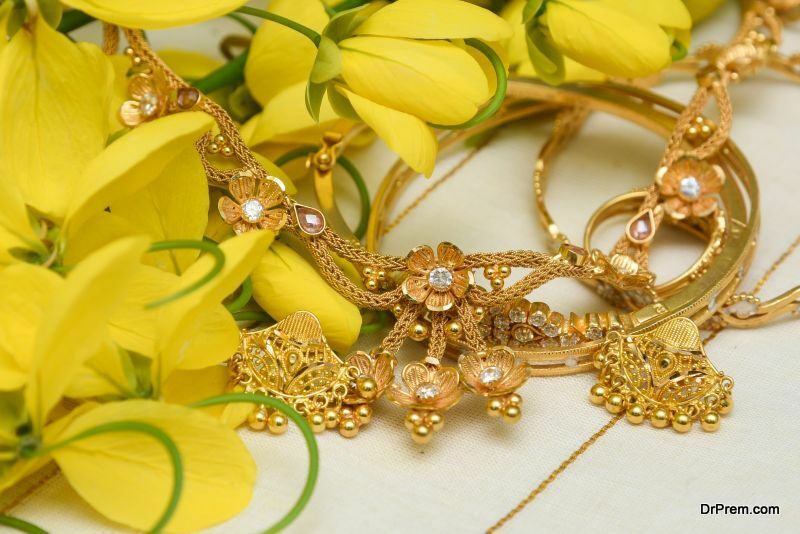 The jewellery inspired from this era is budget friendly and beautiful to look at. 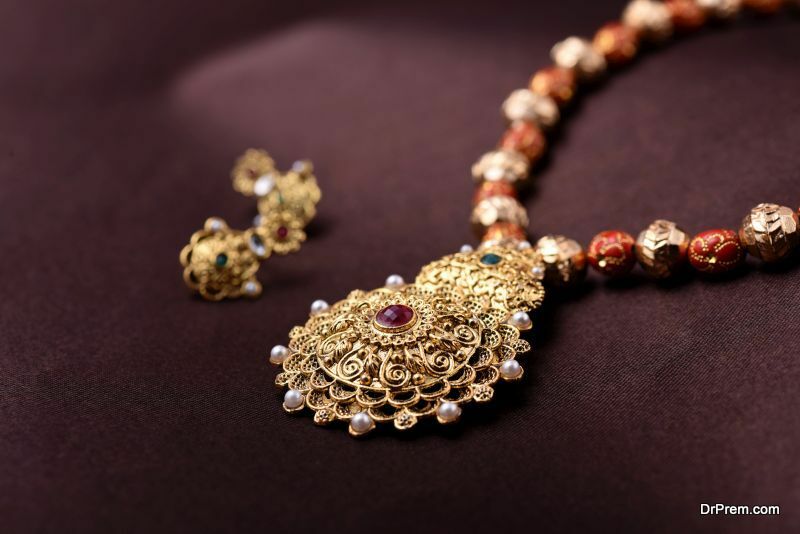 The non-traditional methods of making such jewellery adds to its overall beauty. A classic that can never die, the Belle Époque resembles beautiful and delicate looking jewellery with a blend of big and small motifs. A combination of various colored stones, metals and uniquely designed motifs are all part of this era. Even in the midst of the heaviness, the jewellery still had a nice classic and dainty look.